After getting my fill of nostalgia, I set off to my local fish market on Friday and purchased 3 lbs of colossal US shrimp. 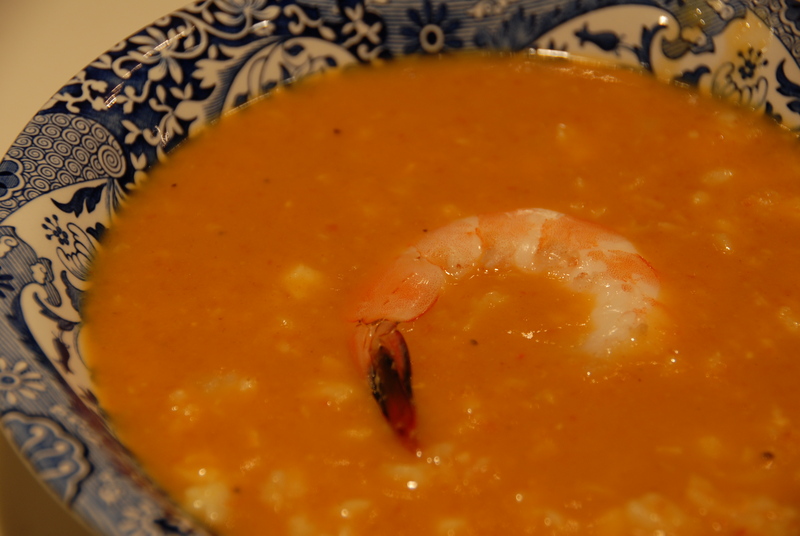 Wanting simple, yet really flavorful ways to prepare the shrimp I settled on peel n’eat doused in Old Bay and served with a spicy remoulade and a cream of shrimp and tomato soup. The soup recipe I found in the big Silver Spoon cookbook and for anyone who is captivated by traditional Italian cooking I urge you to check it out. Coarsely chop all the vegetables and place them in a large pot. Pour in 6 ½ cups of water, add a pinch of salt and bring to a boil. Lower the heat and simmer gently for about 30 minutes. Remove from the heat and let cool slightly, strain into a bowl. Be sure to press down on the vegetables to extract as much liquid as possible. 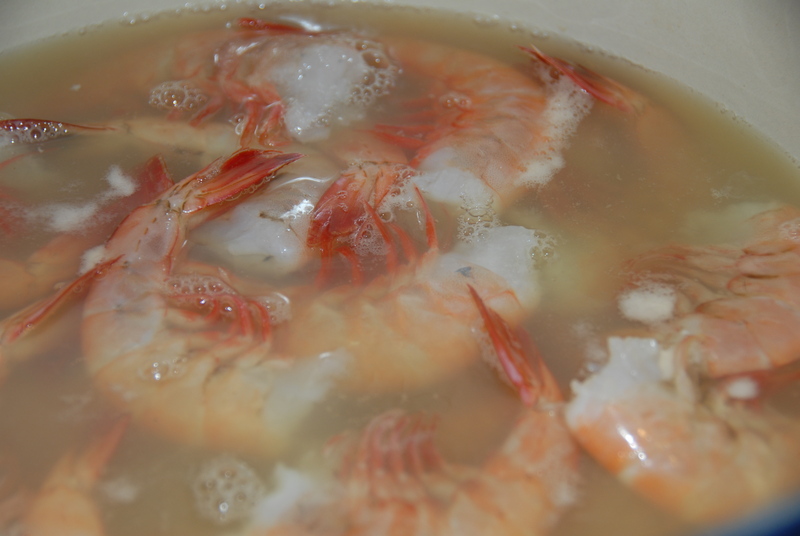 Bring the vegetable stock to a boil in a pot, add the shrimp and cook for 3 minutes. Drain and reserve the stock. 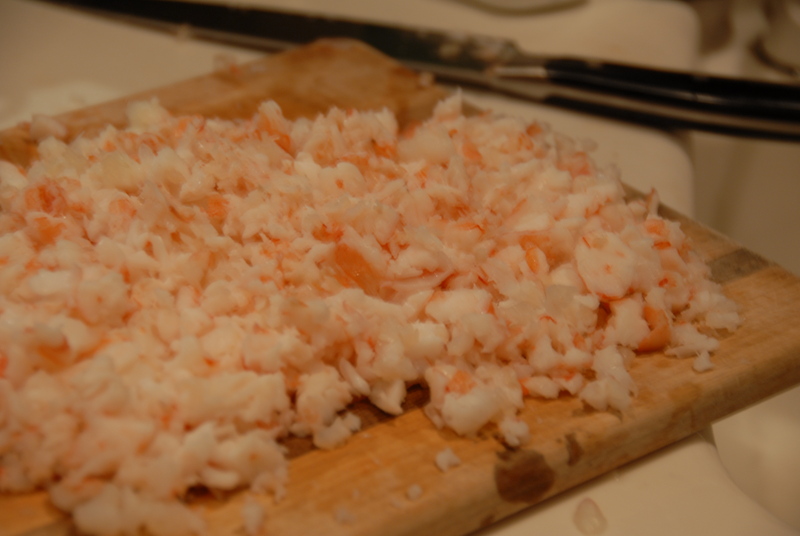 Peel and devein the shrimp, set aside a few for garnish and finely chop the remainder. Strain the stock. Melt the butter in your soup pot, stir in the flour and cook, stirring constantly, for 2-4 minutes, then gradually stir in the stock. Bring to a boil, stirring constantly; lower the heat and simmer, stirring constantly for 10 minutes. Add the chopped shrimp. Puree the tomatoes in a food processor, add the curry powder, process briefly to incorporate and then add to the soup. Bring the soup to a boil for a few minutes and season with salt. Garnish with a whole shrimp. The soups incredibly rich depth of flavor comes from the wonderful broth flavored by both the vegetables and the shrimp. The curry is a wonderful accompaniment without being overbearing and the texture of the soup –velvety and not too thick. Gee, can you tell I liked it? I would suggest having a good loaf of bread handy for sopping up the excess. Special Note: the cooking of the shrimp in the recipes above and below will cause serious shrimp odor. While it’s nice for your home to smell like the sea for a little while, one probably doesn’t it to linger on forever. As they say, Mother knows best – my Mom suggests heating some vinegar and leaving it out to absorb all the shrimpiness. 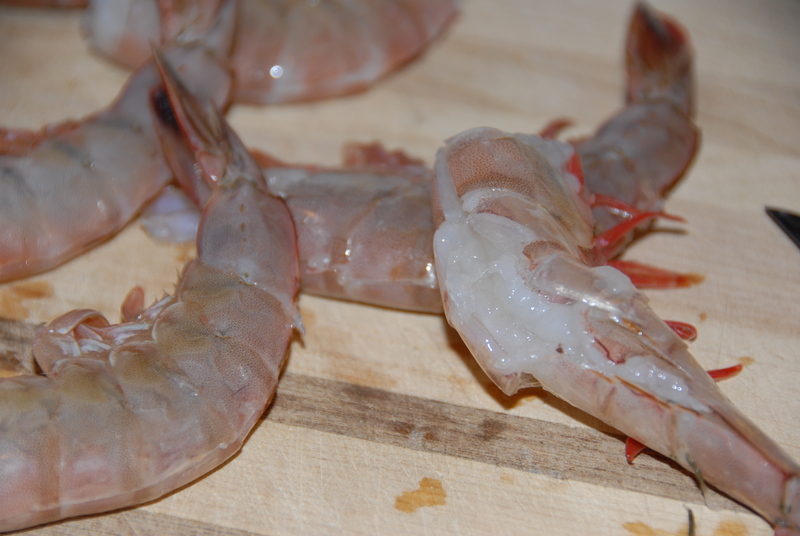 Beyond being so simple to prepare, peel n’eat shrimp is incredibly delicious. Don’t skimp on the Old Bay. The taste and aroma just can’t be beat. Devein the shrimp, leaving shells intact. 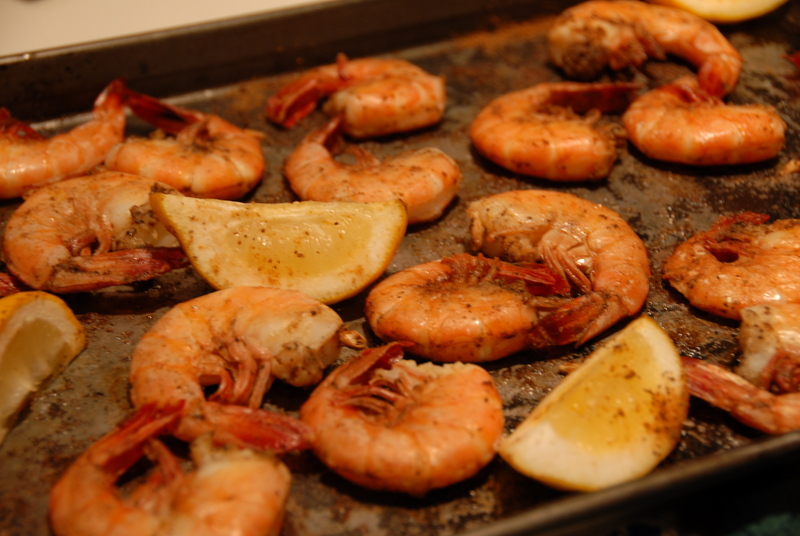 Preheat oven to 350 degrees F. Toss shrimp in oil and Old Bay on a baking sheet. 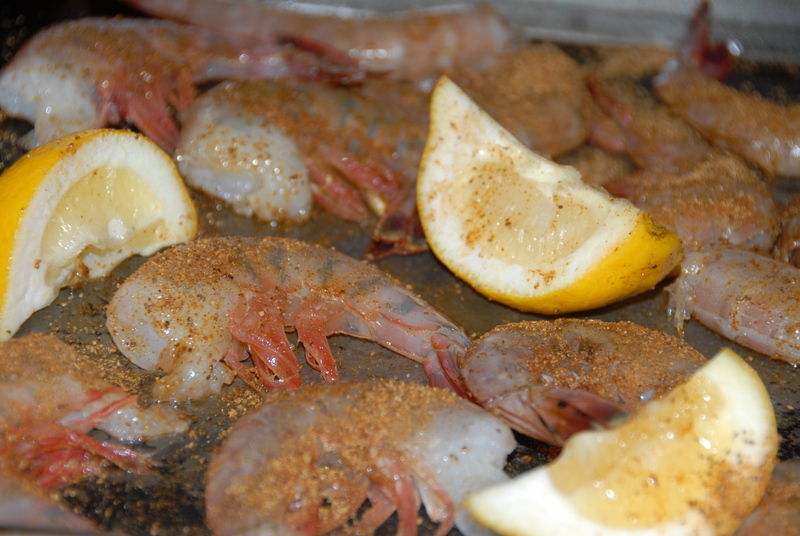 Squeeze the lemon over the shrimp and then leave on the sheet while baking. 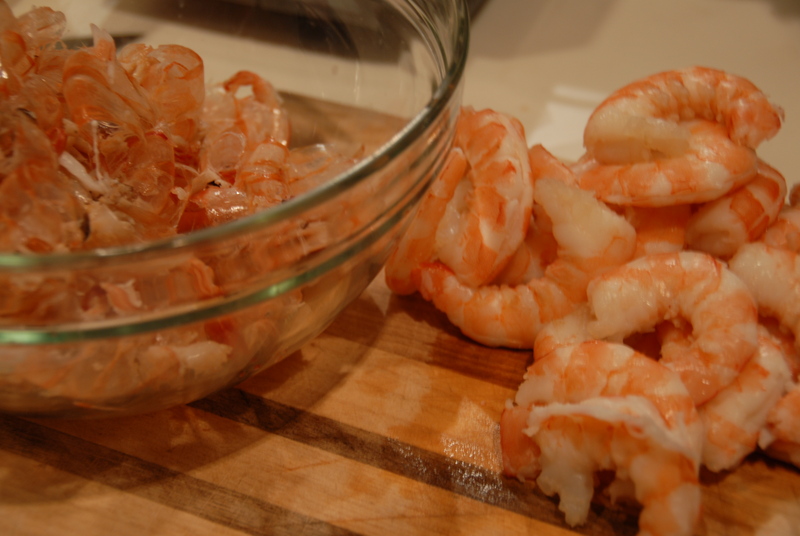 Cook for 5 minutes, flip shrimp, cook for 5-6 minutes more. 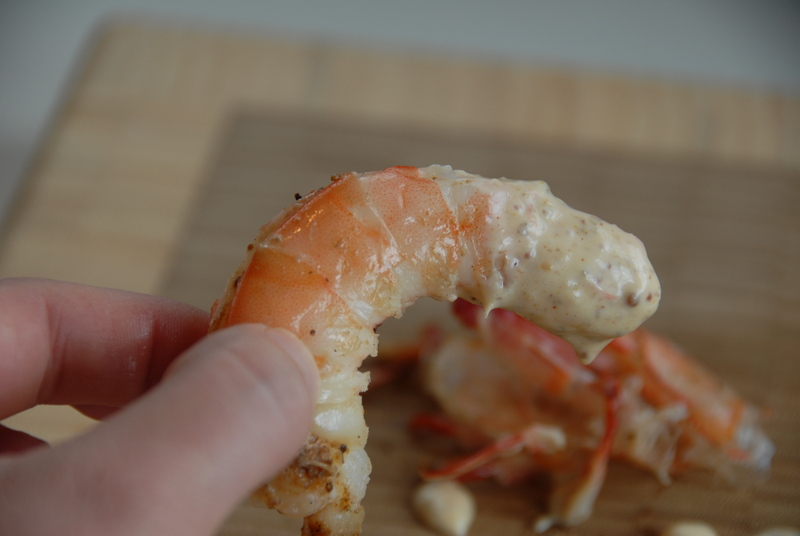 Let the shrimp cool a bit once you grab them out of the oven, peel, dip (see recipe below) and enjoy. This spicy remoulade, while a departure from a zesty cocktail sauce my family usually pairs with shrimp, was a welcomed newcomer. This creamy, tangy sauce is marvelous. As per usual I am left with excess and will be looking for other things to enjoy it with (suggestions please!). Combine all ingredients in a food processor and blend until smooth. Chill until ready to serve. Sure all that deveining, deshelling and old bay can get your hands pretty filthy but in the end, it’s worth it. This entry was posted in Shrimp and tagged Frank's red hot, Old Bay, peel n'eat, remoulade, shrimp, Silver Spoon, soup, tomato, vegetable stock. Bookmark the permalink.